The 2018 Awards Ceremony and Graduation Party was held on Thursday, April 26 at UT’s McClung Museum. Guests of honor were Dean Terri Lee and Associate Dean Angie Batey from the College of Arts and Sciences. Also present were Lillian Mashburn, chair of the Department Board of Visitors, Charles Fels, who presented all the student awards and emeritus professor John Hodges, member of the Board of Visitors, who presented the F. Stanley Lusby and John O. Hodges Teaching Award. Ken Wise, Special Collections, UT Library, and liaison for Religious Studies, received a Special Recognition Award. All graduates were presented with flowers and departmental memorabilia. Dani Salazar and Meghan Tiller delivered a vote of thanks on behalf of the students. Rachelle Scott announced that the faculty were marking the end of Rosalind Hackett’s term of office as department head (2009-2018) with the gift of an English Oak that would be planted with a plaque at the UT Gardens. 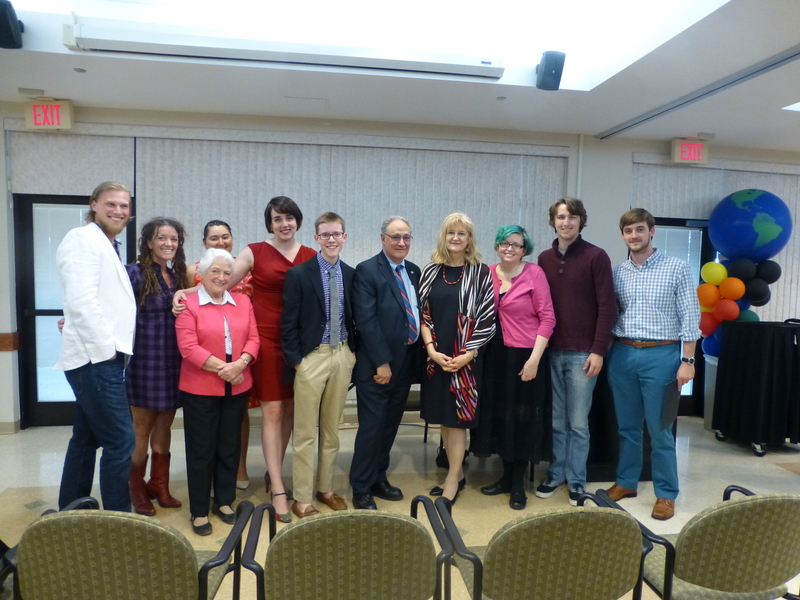 Photos from the event can be found here. The 2017 Awards Ceremony and Graduation Party was held on Thursday, April 27 at UT’s McClung Museum. 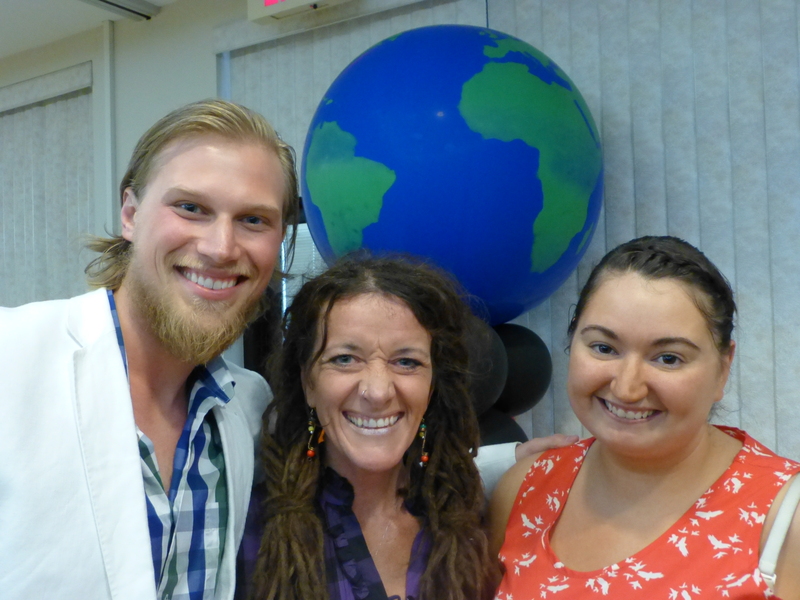 The Guest of Honor was Dr. Marisa Moazen, Director of Undergraduate Research, Office of Research & Engagement. Also present (right front) were Lillian Mashburn, chair of the Department Board of Visitors, Joan Riedl, former department secretary (1976-2010), who presented the Joan Riedl Book Award, and (left) emeritus professor John Hodges, member of the Board of Visitors. Department head, Professor Rosalind I. J. Hackett is seen addressing students, faculty, and guests. The Fourth Annual Awards Ceremony and Graduation Party took place on Thursday, April 24, 2014, in the Executive Dining Room at the University Center. The 2014 awards were presented by Bill Morris, member of the Board of Visitors. Brief but exciting research presentations were given by George Groh, Blaire Hamilton, Wade Scofield, and Hannah LaPrise. In addition, all graduating seniors received a red carnation. Associate Dean Christine Boake from the College of Arts and Sciences gave the closing remarks. Lillian Mashburn, chair of the Board of Visitors, was also in attendance, along with fellow Board members, John Hodges, Ralph Norman, and Bill Morris. As usual, a tasty reception closed the event. 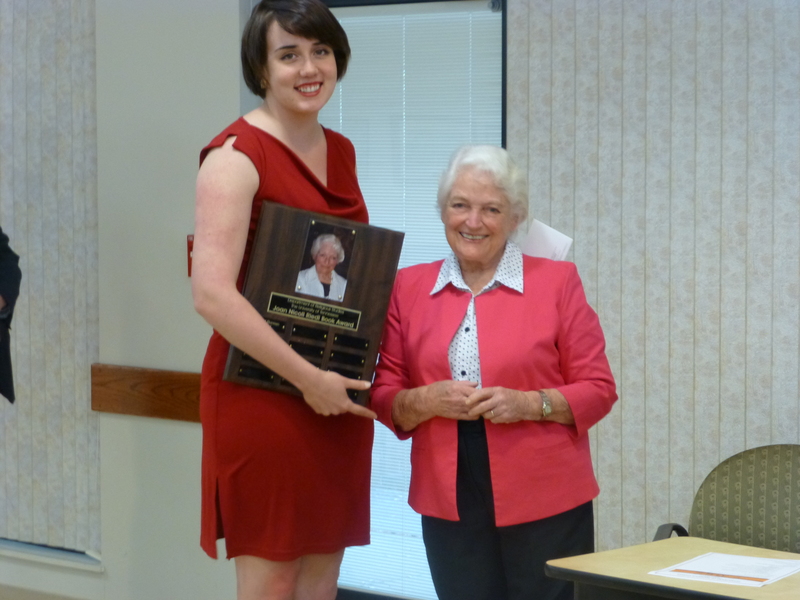 The Joan Nicoll Riedl Book Award for 2013 was presented by Joan Riedl to Blaire Hamilton. 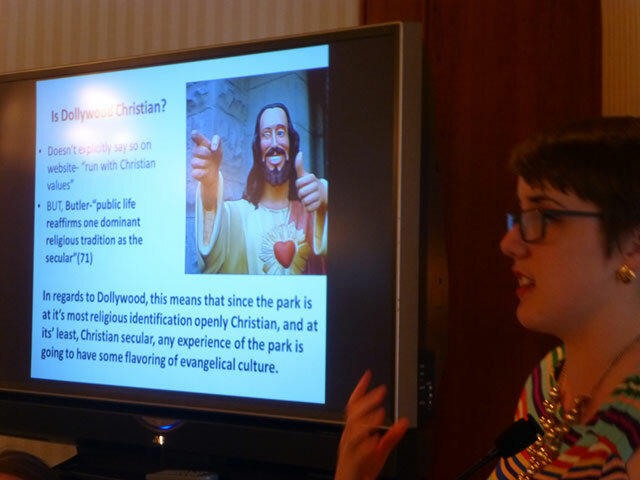 The award supports a rising major in Religious Studies. This was followed by short presentations by Religious Studies majors and awardees: Jeremy Russell, Nikki Swartwood, and Alissa Reeves. Final remarks were made by Associate Dean Cynthia Peterson before the delectable reception. Several members of the Board of Visitors were present. The Department’s 2011-2012 Awards Ceremony and Graduation Party took place on Thursday, April 26, in the Executive Dining Room (3rd floor) of the University Center. The event served to honor all of our graduating seniors and awards were distributed to the following students. Jim Harb, one of our most devoted and active members of the Board of Visitors, presented the awards. 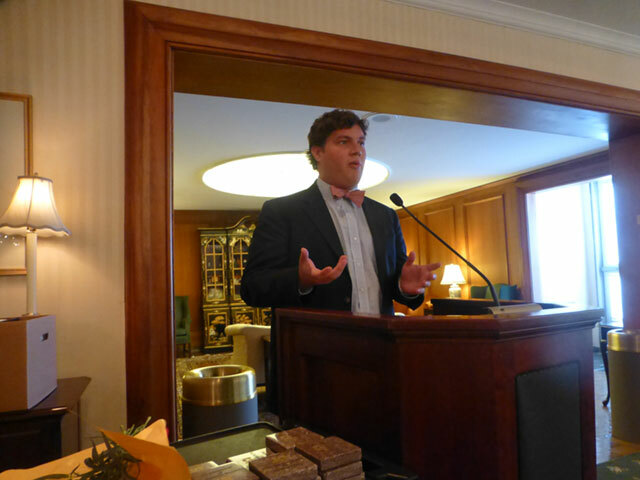 In addition to the awards ceremony, David Burman gave a short presentation on his honors thesis. David Burman was also the first recipient of the Joan Riedl book award in 2011. The evening ended with a reception attended by students, faculty, members of the Board of Visitors, friends of the department, and family members. 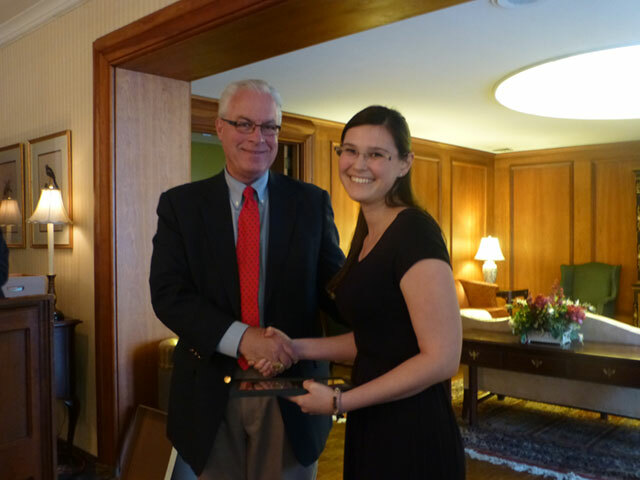 Jenny Bledsoe: Outstanding senior, with Award for Excellence in Research and Outstanding Thesis. Justin Crisp: Outstanding senior, with Award for Professional Promise. 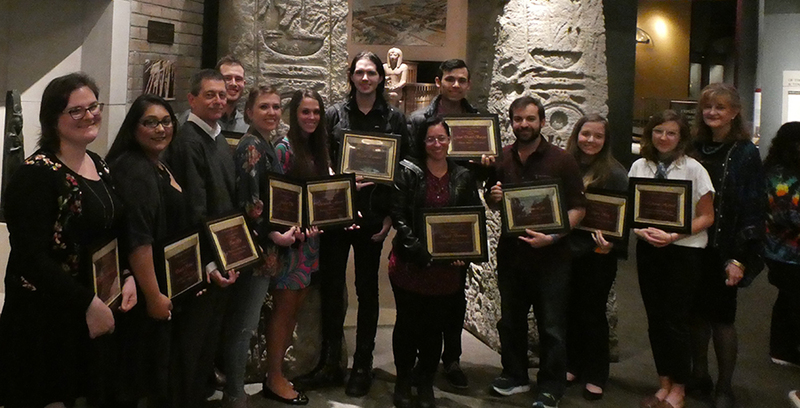 Students received commemorative plaques and a department T-shirt. 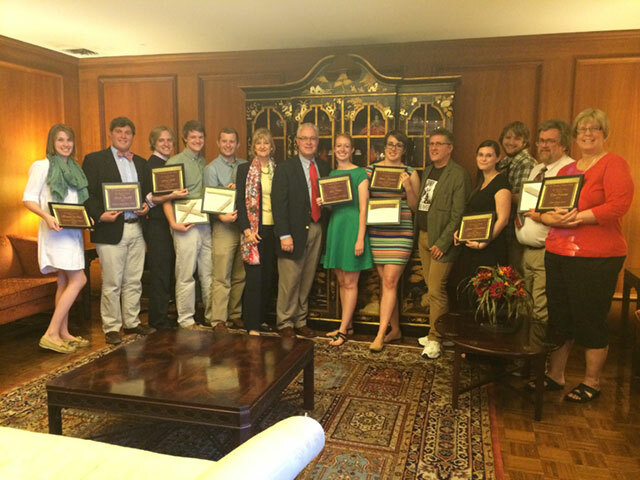 They were also treated to dinner with some members of the faculty and the Board of Visitors.